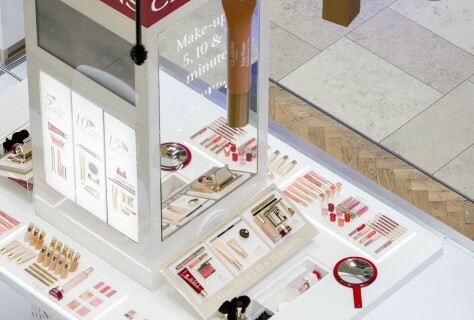 D4R worked with Clarins VM team to create Brand awareness Pop-ups for Key Mall sites around the UK. 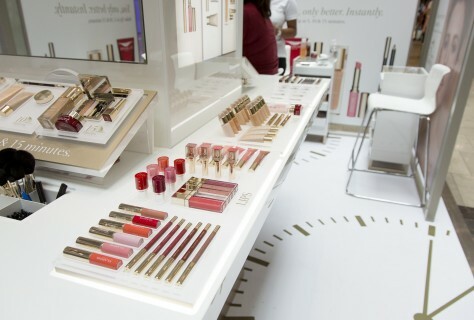 To communicate the seasonal looks that can be achieved using key products, in a 5, 10 or 15 minute make over. 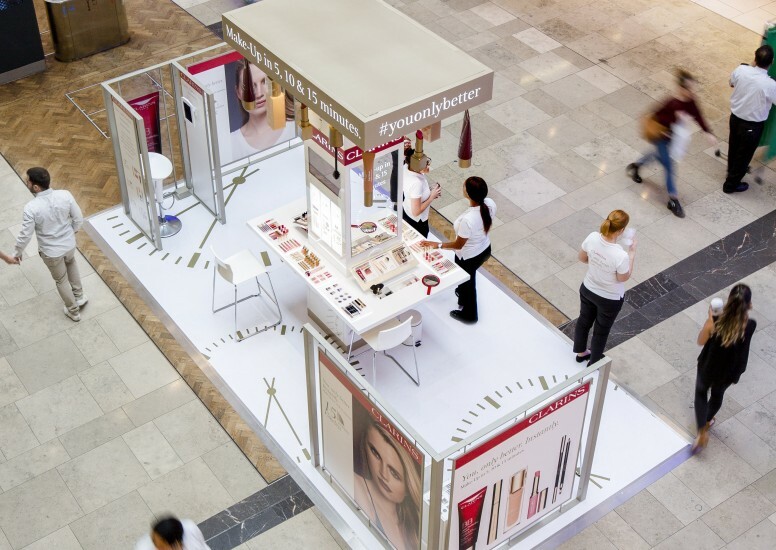 A central destination fixture was created as a 4 sided consultation table, with full range testing, practical storage, Video screens and light boxes showing key seasonal looks. 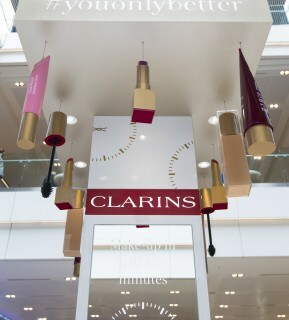 With giant factice models of the iconic make up products decorating the pelmet at high level, it gave the display a playful feel. Screened enclosures were placed in the corners of the space, to create makeover areas and an opportunity to upload your newly made over look onto ipad's and email the shots made the experience truly interactive. The event space travelled across 6 locations and our fitting teams worked out of hours, to move from one location to the next like elves in the night.